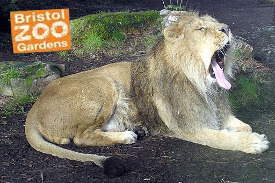 A day trip to Bristol Zoo. We will go Bristol Zoo for the day. You will need to book your own ticket online and let us know so that we can provide transportation for you. We will leave outside the Dalton Street Centre at 10am and arrive back around 7pm.